In a major coup for ultra-running down under, US ultra-running legend, Anton Krupicka will head down south to race the Tarawera 100km in New Zealand in March. Like the North Face 100km, the Tarawera 100km has steadily grown in stature over the last few years, and will also see some pretty strong Aussie talent heading over in the form of Dave Eadie, an Ultra168 editorial board member. But that’s not all, current Kepler champ Vajin Armstrong will be there, along with Northburn 100 miler winner, Martin Lukes and UK prospect Stu Mills. 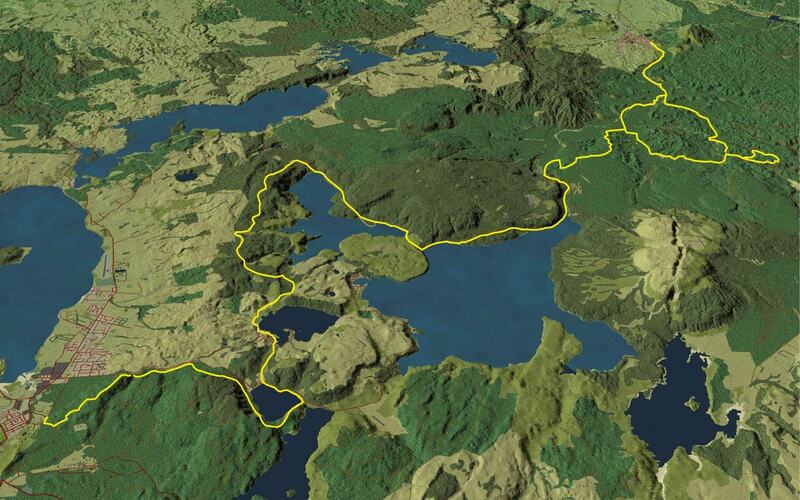 With the temptation of turning this into a 100 miler for 2013, it seems as if the Tarawera Ultra could become one of the races to do next year. We caught up with race director Paul Charteris to find out a little more about the run and how it came about. How did the idea for the race come about? In early 2008 I was living in Northern California and came up with the idea for the Tarawera Ultra. I lived very near the Western States Trail and spent most weekends running around that 100-mile course. Pretty quickly the Western States community adopted me as their token Kiwi. What impressed me the most about the trail ultra community was how friendly, easy-going (yet ridiculously impressive athletes) these people were. I quit my job in California (it sucked anyway) and planned to return to New Zealand. It would be a fun challenge to re-create an epic ultra-distance trail race in New Zealand that could borrow some of the best elements of Western States. Designing the Tarawera course was easy. There’s an established trail network between the tourist mecca of Rotorua (the start) and the timber town of Kawerau (the finish-line). I grew up near Kawerau so I knew all the old abandoned forestry roads in the Tarawera Forest. I wanted to create was a challenging (yet, achievable) trail ultra-marathon experience. From the start, extra elements were included to the race that are not available in other events. Runners can choose to go longer or shorter on the day (depending on how they are feeling), so there’s the options of 60, 85 or 100km. The run also features buffet aid stations (a concept borrowed from the Californians), pacers, drop bags and excellent access for crew and supporters. What did you need to do to get it off the ground? The first year of the race was nerve-wracking. I only just managed to scrape together enough money to cover pay for aid station supplies (some of which I had to eat – just to survive). Recognising the exposure and tourism potential of this event, the Rotorua District Council became the first official sponsor for the Tarawera Ultra. Without their help, it would not have survived year one (2012 will be the 4th annual run). Other event organisers, the Rotorua and Kawerau District Councils were all extremely cooperative and supportive of my wacky “big long run” idea. They helped me with advertising, helped me make contacts, as well as ecological and safety management plans. The Department Of Conservation (DOC) lays down some pretty tough guidelines for events that pass though their land. I spent at least a couple of months getting the management plan up to DOC’s standards – it’s made me a much better Race Director as a result of it. Vibram Five Fingers have come on-board as the major sponsors for the Tarawera Ultra in 2012 and beyond. Together I’m sure we can help make this a truly world-class run. Any teething problems along the way, or was it all plain sailing? It’s all gone fairly well so far, only some minor issues along the way. It’s an especially hard race to manage on race day since cellphone coverage only extends to 6km of the 100k course (the first 3km and the final 3km), so communication all has to be done via the forestry radio system. By the time runners hit the start of the Western Okataina walkway (25km in) and emerge from the native bush again at the 60km finish-line below the Tarawera falls, there are only two places that are accessible by road. The remainder must be reached either on foot or by boat. It all takes time, the more that athletes get familiar with the event (and the course) and the more times we have the same volunteers, the easier it is to manage. I am thankful to have a simply amazing crew of volunteers (from the Kawerau Gravity Sports Club, Kawerau Harriers and Rotorua Area Triathletes) that have proven to be more than up to the challenge. Describe the race in more detail in terms of terrain and the countryside it travels through. It’s simply stunning country-side even by New Zealand standards. Everything constantly changes on this course (it’s point to point). 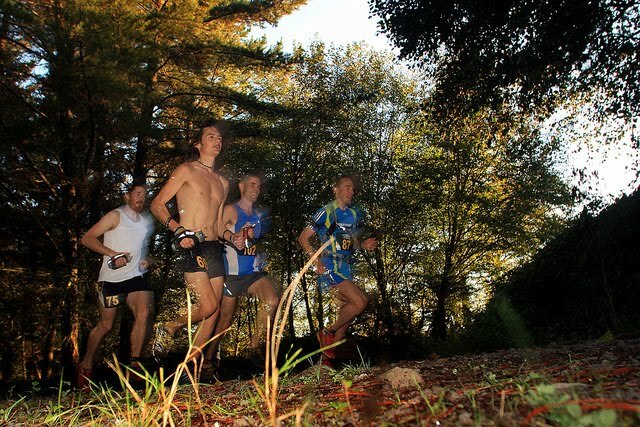 There are different types of forest, single track, wide track and forestry roads, you run around or along four lakes. The Tarawera Falls area is really special though. Due to the 1886 Tarawera eruption, a fine layer of scoria covers the entire course, so it’s a free-draining, fast running surface. The run starts at The Redwoods in Rotorua, in the world-famous Whakarewarewa Forest and finishes (with a net downhill) in the tiny timber-town of Kawerau. The 60k run finishes just below the Tarawera Falls – the end of the single track and native bush. The remaining 40km (or 25km for the 85km run) is mainly on forestry roads in the Tarawera Forest. I personally think some of the nicest running is towards the very end of the 85 and 100k courses alongside the Tarawera River. How many entrants will you have this year? There’s 200 entered right now (mid January) so I expect well over 300 by race day. Last year there were 237 entrants. In your own words why should Aussies come over to NZ and race? Out of all the people who have entered, the Australians have been the most enthusiastic about the course. My advice to anyone (not just the Aussies) is to do one race a year that is a massive adventure for you (in a new part of the world, a longer distance etc.). Hopefully Tarawera can fit that bill. The race is very spectator and family friendly. If trail ultra’s are your gig, this will be a neat experience spanning Thursday evening (fun run and movies in the forest) to brunch and prizegiving on Sunday morning. Tell us a little bit about your own running background? I started running 6 years ago. I was a hopeless fat, lazy triathlete who never ran (except in races). I started training for the run by walking on the Western States trail and after a couple of months I began running. Fortunately, the Western States 100-miler gripped my attention and did not let go until I finally got the chance to compete. I served my apprenticeship in some of the biggest trail ultra’s in Northern California, racing, pacing, volunteering, running camps – you name it, I did it. I got to meet some great people, including David Eadie – whom I paced for the final 38 miles of Western States. After I quit my job, I packed up my old Subaru, pointed it south and ran Copper Canyon in Mexico. What are your future plans for the race? In 2013, I’d like to make the event 100 miles. There’s easily 60km of sweet trails that can be added to the start of the existing 100k course. This will require the permission of land-owners, DOC and local Iwi. I’m pleased to say, a lot of pieces are falling in to place, but there are still some major sticking points around access to some of the best parts of the new proposed course. Hopefully I can report on something in a couple of months. Any big names coming over to race? Anton Krupicka is coming. He’s officially announced the 100k is his target. Given his current shin injury, we’ll probably only know on race day morning which distance he signs up for. But, he’ll be there for sure. On the female side, Nicola Gildersleeve from Team LaSportiva in Canada looks to be the top prospect. Anna Frost looks will put together an all gals team, she may pace one of the elite runners later in the race. The Kiwis, Vajin Armstrong (2nd last year and current Kepler champ) and Martin Lukes (NZ 100k champ and total legend) are in for the 100k. They will probably be the guys to beat. 21-year-old phenom Kristian Day is back to improve on his 4th place finish in last years’ 100k. 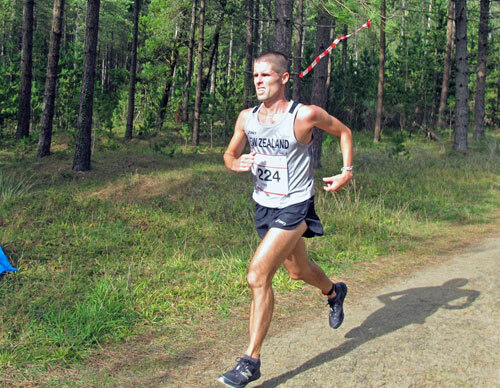 Phil Heatley and Julian Davidson are other top NZ runners. On the international front, your Australian Ultra-runner of the year David Eadie coming over to shake-up the Kiwis. Stu Mills from the UK is super competitive and he’s in hot form with impressive performances at UTMB and the world trail champs last year. Hiroki Ishikawa is coming from Japan. Last years’ 100k champion (and course record holder in 8:33) Sam Wreford is in Iten, Kenya right now. He’s gunning for the NZ Olympic marathon slot, so unfortunately will not be on hand to defend his title. For a place that has amazing trails, do you think there is a bit of a lack of 100km+ trail races in NZ? I can tell you the reason for that. The paperwork and regulations you need to complete for DOC are pretty tough, so a lot of people do not bother. Also, DOC has a rule of no more than two events in a national park in a year. So, let’s say you had an adventure race and a 20k trail run in the park – that would be it. No more events would be allowed until one of those races is retired – and no race director is about to retire their event. Another reason is the huge variety of alternative endurance events. For the size of country we have a huge number of multisport (both triathlon and adventure racing), orienteering, regaining and long-distance mountain biking events. For endurance athletes, there’s always a number of very good and (and very close) alternative events to attend. There’s some great runners coming through the ranks in NZ right now,what does the future hold for NZ runners and their chances on the world stage? New Zealand’s best trail ultra runners can smash it on the world stage if they get the opportunity to travel and race seriously. When I arrived back in New Zealand, I saw some runners (like Sjors Corporaal) that could run almost every other one of those Californian superstars in to the ground. I’d say the best young trail runners in New Zealand are possibly (at their respective ages) better than most other runners in the world today. A number of young runners here (Ruby Muir, Sam Clark, Kristian Day, Angela Simpson, Daniel Jones, Shay Williamson) are phenomenal. As teenagers they were already finishing top 2 or 3 in major endurance races and now in their early 20’s they are starting to put together some impressive wins at national and international level. When (and if) they seriously decide to do ultra’s, they will dominate. Paul would like to thank the Major sponsors for the Vibram Tarawera Ultra. for their help and support: Vibram Five Fingers, Injinji, Events and Venues Rotorua, Allied Industrial Engineering, Kawerau District Council, Holiday Inn Rotorua, BNZ, Hammer Nutrition and Croucher Beer. Wow, sounds like a cracker. I almost had a ticket over, would have loved to race Vajin and Martin and the best of NZ again, but it wasn’t to be. Bad timing with 6 foot track, our national trail ultra championship. Vajin is a superb athlete – so full congrats to you on beating him at the Commonwealth champs. I honestly cannot pick it between Vajin and Marty – they’re both great competitors. I’d dearly love to come over and have a go at 6 Foot myself. However, the week before Tarawera I’m totally stressed out worrying about everything I need to do over the coming week. Of course Paul! Totally understand! The guys at barefootinc, distributers of Vibram FiveFingers and supporters of mine have said great things about the race. I love the sound of the terrain and the soft trail under foot, it would suit my strengths. But instead of me, the Kiwis are going to have MIck Donges to contend with along side Dave Eadie, and unlike me, they are REAL talents. Great interview with a great guy! Congrats Paul – your hard work and dedication is clearly shining through. Hope to make it over the pond to race this Ultra some day. I remember reading somewhere that Andrew Hedgeman ran this race or is going to run this race. He has done some pretty crazy running over the past couple of years, would be great to see him do this one!